Favorite Subject: My favorite subject is math specifically algebra. Fun Fact: I love watching YouTube videos some of my favorite people that I watch are Emma Chamberlain and Shane Dawson. It’s difficult to choose one favorite song but I love all of Taylor Swift’s albums. Hobbies: My hobbies are playing tennis and listening to music. 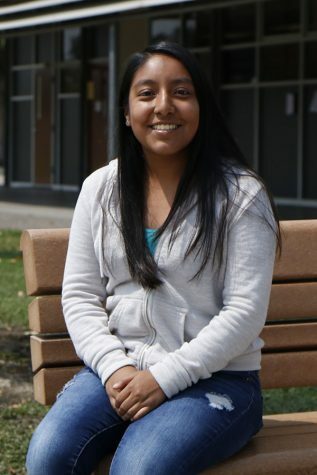 What journalism means to me/Why you joined: I first heard about journalism during my freshman year when our staff member Maria Castillo interviewed me and I was featured in a video for the class. My sophomore year Maria and I had Spanish class together I remember reading a writing assignment aloud in class and after class she commented on my writing and said it was good and that I should consider joining journalism my junior year. About a month later Mr. Sherman was asking what classes I would be taking junior year and I mentioned wanting to join journalism. He was thoughtful enough to email Mr. Bott and tell him about me. That same day I was able to talk to Mr. Bott about my interest in the class. Then we agreed that I would stay for a late day and write a story to get a feeling of what it would be like to be in the class. After going through the process I added journalism to my schedule. My first weeks in journalism have been great. The people on staff are nice but I must admit that at times they still intimidate me. The part I currently enjoy the most is going through the interview process. Goals on staff and after high school: One of my goals for this year is to improve my writing. It is also a priority to become more involved in open discussions. After high school I know I would like go to a college or university but I’m undecided in what area.